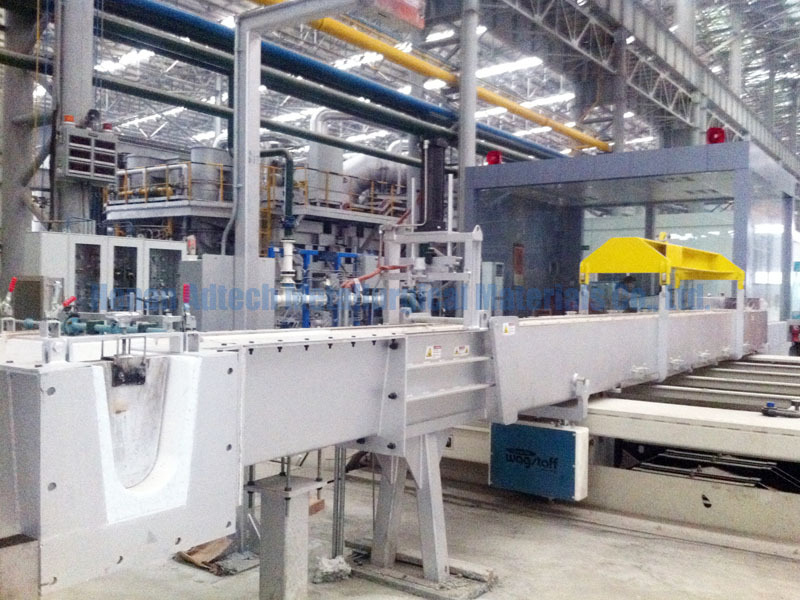 The aluminum trough is provided for guiding the molten aluminum flowing from the mixing furnace to the casting machine, and the outlet of the mixing furnace is provided with?The flow control device for aluminum liquid has a certain inclination of the chute in order to allow the aluminum liquid to smoothly flow in the chute. The length and direction of the aluminum chute depend on the process configuration. Flow regulators: Automatic flow regulators are made between the aluminum exit chute outlet and the ship-shaped casting chute, which is a float?Sub-lever device, the principle of which is to use lever principle and buoyancy principle to automatically control the flow rate?Aluminium chute outlet size, so that the liquid aluminum flow is stable and uniform. 1. Check whether the connection of the holding furnace outlet at the online holding flow slot is tight and ensures that there is no gap at the overlapping place. 2. Check whether the connection between the shelled flow cell and the degassing tank is tight. If any problem is found, handle it in time. 3. Check if there is any crack or crack in the inner lining of the fixed runner. If there is a large defect and it cannot be repaired, replace the Irvine runner in the damaged runner. 4. Check if the integral fixed-fluid heating system is working properly. 5. Check whether the discharge port of the online deaeration tank is plugged and check whether the aluminum discharge tank is in place.